Well..we moved in to our new place and I'm in love. There's so much space! There are tons of dogs that live here and Ben seems so happy! We are extremely happy! However, Mr. Roboto has been out of town all last week...and he's out of town for this week...So I've been doing most of the unpacking, organizing and cleaning. Which, I really don't mind because it also means I get to make things look the way I want them to look...you know, the right way! I know the stress of moving was making me a little wonky...but I think I was a little overwhelmed/depressed. Packing all of my craft materials meant I couldn't create anything for a while. It surprised me how often I just wanted to make something...anything. Now, my first week in my new place, I've gone a little creating crazy. It makes me so happy to make new things for our home and my classroom. You can see a couple pics of my work below. 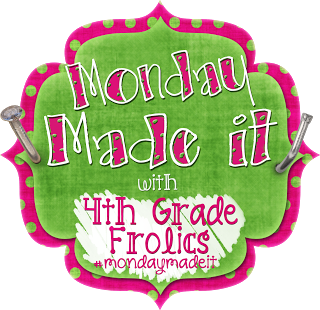 I've linked up with 4th grade Frolics for Monday Made It! Here it is with a little note attached. But, all the drama made me reevaluate what I do as a blogger...I'm guilty of promoting my work and not my ideas. I know it's important to share what I create with others...but I'm not a billboard, and neither is my blog. I'm making a commitment to write posts of substance...with things to share..not just advertise. SO! In the spirit of sharing, here are a few things I will use in my classroom this year. 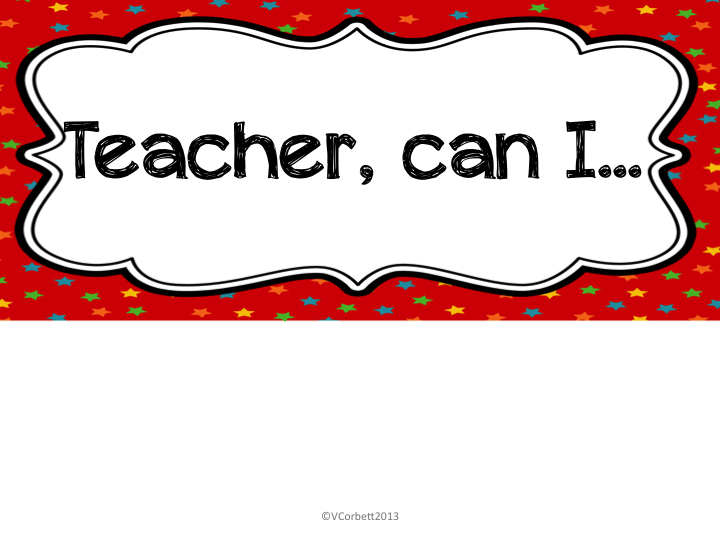 With some inspiration from Marisa at First Grade Glitter and Giggles, I made a "Teacher, can I..." management system. I can not tell you how crazy I get when I'm asked 23 different times, "Can I use makers?" after explicitly saying' "No markers." I go insane! So this system will be a great visual reminder and cue for my students... I can truly say my expectations ONCE and then point to the wall, if someone needs a little extra "clarity". Here's what the system looks like...laid out on my carpet. I'll post this on my dry erase wall and simply and a check or X in the appropriate places. I'm really excited to see the way this works in my classroom this year. But, I truly think it will be a great help! Here are a few more pics. Click on any of them to get yourself a copy for free. I have been reading Jan Richardson's book, The Next Step in Guided Reading. It has been a fantastic read! I feel really inspired about my small groups this upcoming year. When working with pre-emergent readers (specifically students who can not identify letters of the alphabet), she suggests using a tracing alphabet. 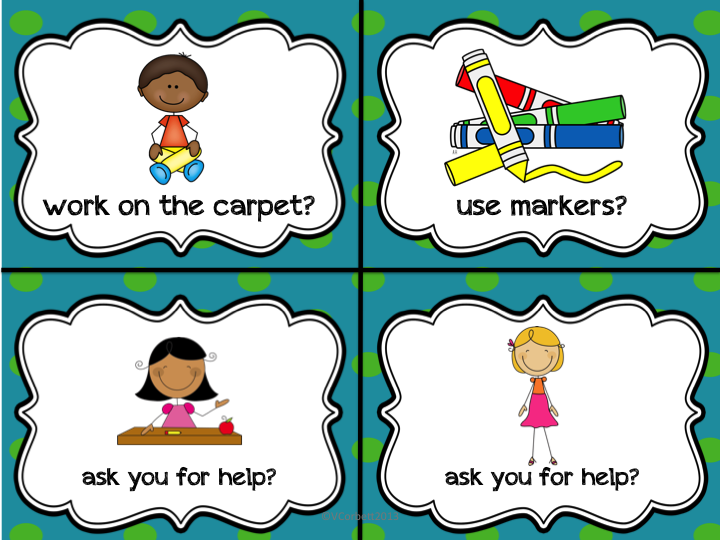 She says that students should not use a pencil or dry erase marker while tracing, but simply use their finger. 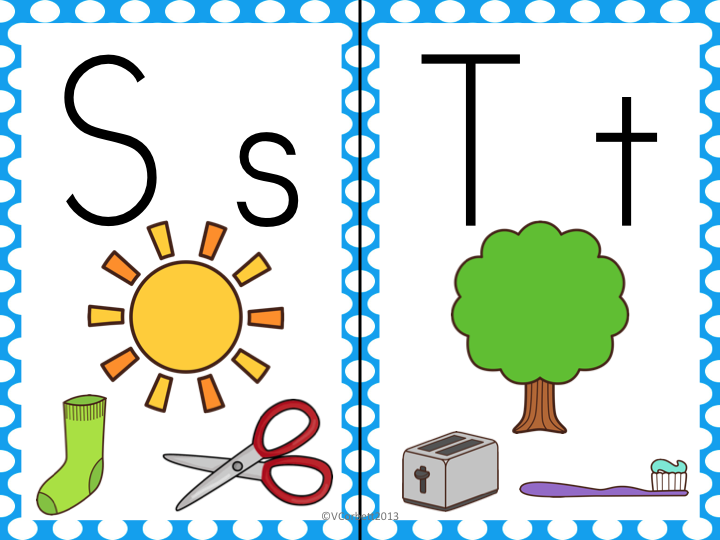 She also suggest that each letter should contain a few pictures to so students can make a connection between the letter and letter sound. I made a set of tracing alphabet cards, that'll use with my small groups this year. Click the pics to get your copy. 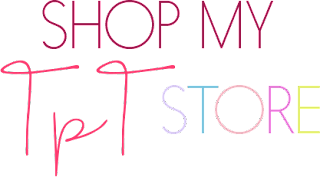 I'll leave you with a little shopping tip...cause you know how much I love to get my shop on. Yesterday, Mr. Roboto and I headed on a shopping trip to Michael's (I'm obsessed), Staples and Target. When we got to Staples we both went a little crazy. for a grand total of $8.52! I'm on my way there today to grab some more goodies! Oh outkast! Love the bathroom signs! Your blog is adorable and I love the name. I am your newest follower and can't wait to read more post. 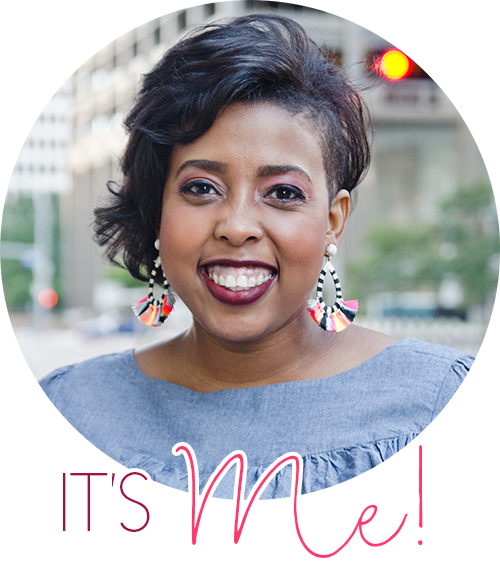 If you get a chance I would love for you to come over and check out my blog. Thanks for sharing. Thank you so much for the alphabet tracing cards. I love that they have more than one picture on them. I am going to put them on rings for my students who need them and possibly send them home for homework. The Teacher Can I i such a great idea! Thanks for sharing! Thank you for the alphabet tracing cards. Did you happen to see that the small clipboards are on sale for $1.00. I got a few of those as well as many of your items. Love the Staples back to school sales! I also teach kindergarten and am reading The Next Step in Guided Reading. 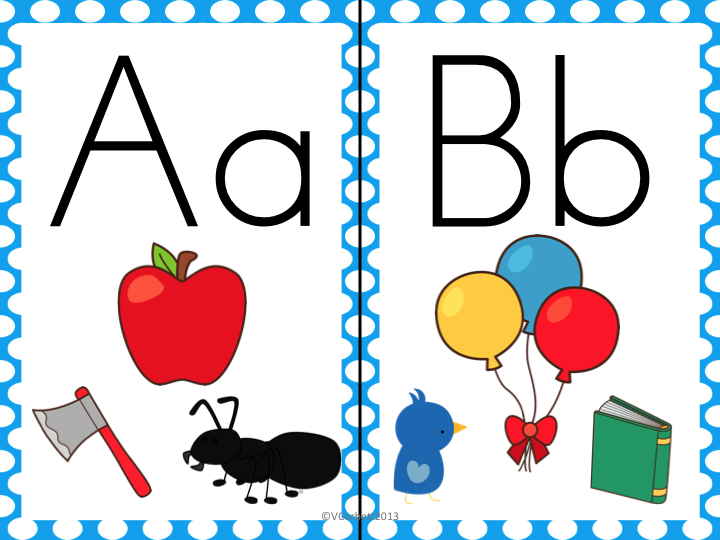 Thank you so much for the alphabet tracing cards! I love that they have multiple pictures. That will also help my ESL kiddos. Thanks for sharing! Aww! Y'all, I'm so glad I could help! I will post more on Jan Richardson's book later this summer so keep a look out. 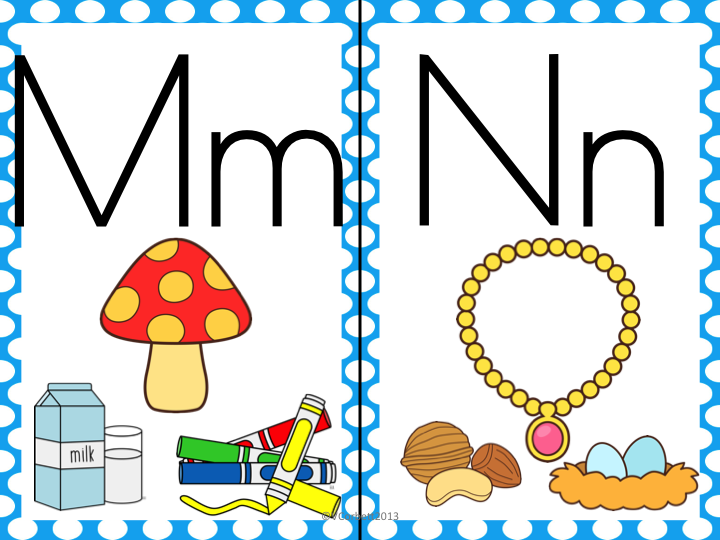 I'm working on initial consonant sound work now...Also...if any one is doing Fundations, I have an alphabet chart and alphabet cards (for word wall or small group practice) for you. Just email me. I am putting together a summer giveaway and would love for you to be a part of it. Email me at deirdre.eldredge@gmail.com for the info! ps...I love your Staples finds! Hi there! Newest reader:) Love what you've done here. Thanks for sharing! Thanks so much for the directions freebie! 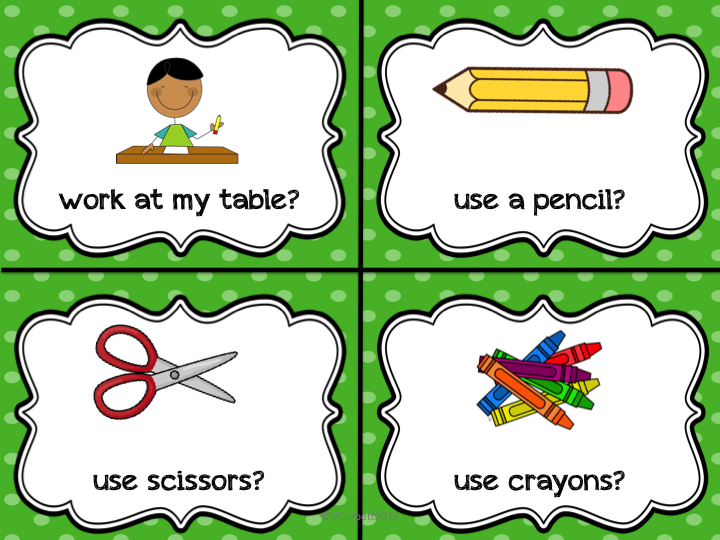 I think I will put magnets on everything and simply put each picture under the "yes" or "no" sign...love it!